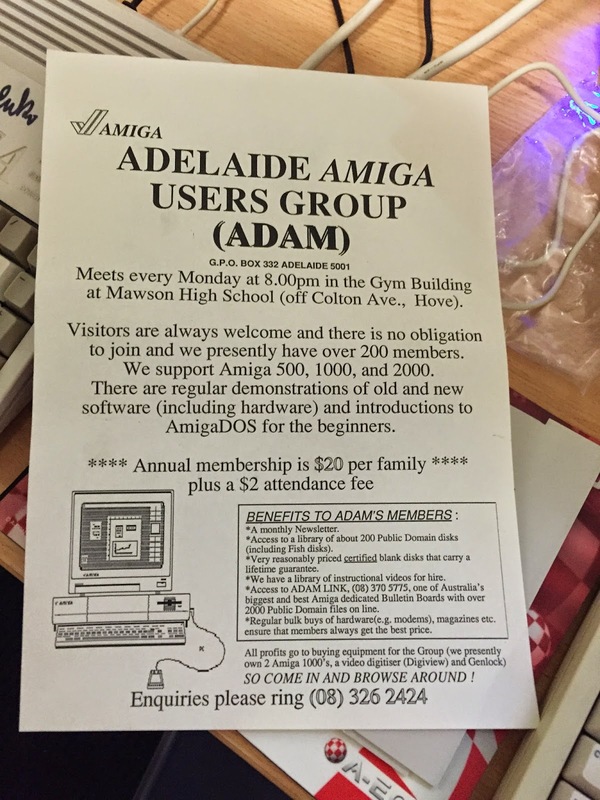 Last night (January 19th) I attended the Adelaide Amiga Meeting, held at Clarence Park Community Centre from 7:30pm. It was a great night! Above is Andrew Wilson and George (AmigaMan101) preparing the room with a big Amiga banner! Andrew Wilson is an Adelaide-based developer of the Phoenix A1000 Motherboard replacement and memory expansion modules. Melanie (from the Play it Again Project) was also present, keen to chat to us about our memories of Australian made games in the 1980's as part of her ongoing project. It was very interesting to hear her talk about her project in detail. You can read more about that project on her website here. I brought along my AmigaOne X1000, which proved quite an effort to pack, unpack, repack and unpack again! But it was worth it because it certainly received a lot of attention from attendees on the night. I also brought the latest Amiga Future magazine for attendees to flick through to see that Amiga is still very much alive in 2015. We had plenty of questions about this strange new AmigaOS 4.1 Final Edition version - who is Hyperion, can we run Amiga games on this new system, why do we still muck around with Amigas in 2015 - and so on! It was great to see people's genuine enthusiasm and interest in the Classic and Next Gen Amigas on display. MickJT was certainly busy showing off what his Sam440ep-flex system could do! Not since AmiWest 2014 have I been surrounded by so many Amiga systems so I was very glad to talk Amiga with fellow enthusiasts again, this time in my home city! At the meeting an ACA1231 accelerator was fitted to the Amiga 1200 - it also has a CF card installed which was purchased from AmigaKit. As mentioned, Andrew Wilson, Adelaide-based developer of the Phoenix A1000 Motherboard replacement and memory expansion modules was at the meeting too. It was very interesting to hear about the development of the Phoenix A1000 board, it's expandability and features. Andrew was very kind to give a lot of his technical knowledge of the Amiga Phoenix motherboard. 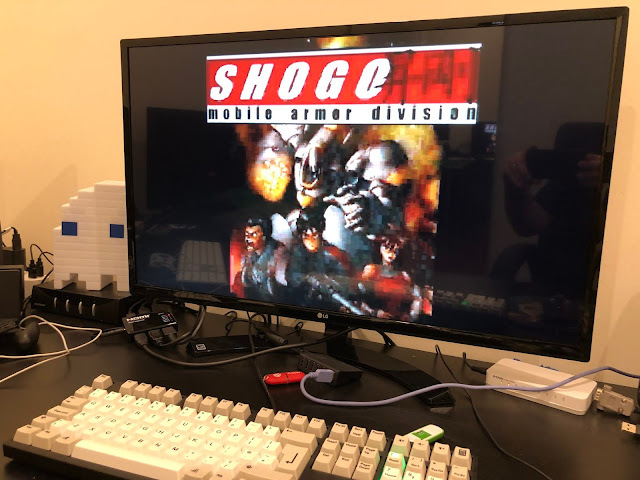 He also explained a bit more about the story behind the approach from members of A1K forum to purchase some Phoenix Motherboards (PCB only) from him back in 2005 to turn into full functional Amiga boards again. 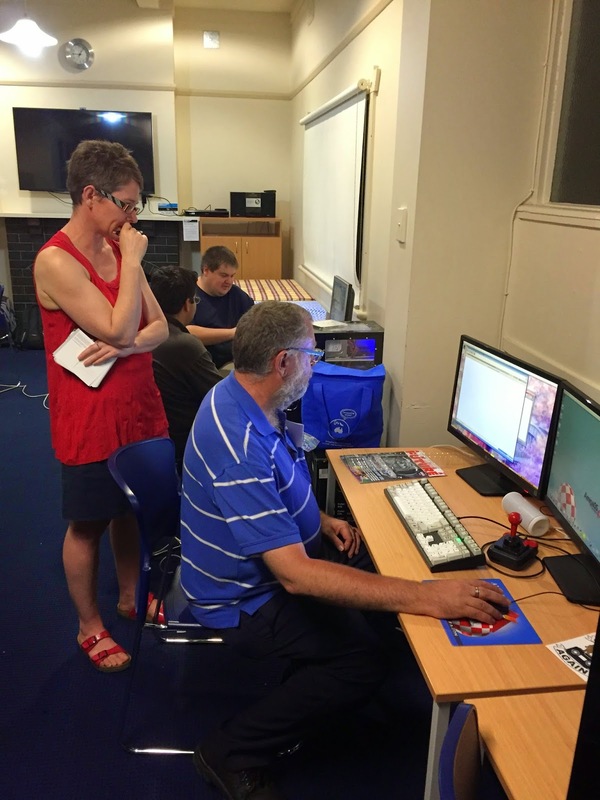 The Adelaide Amiga Meeting 2015 was a lot of fun and I really enjoyed spending time with other Adelaide based Amiga enthusiasts. We probably had about 15-20 people during the evening (wasn't counting) which was great to see. I think if it were held on a weekend you would see even more come! The show wrapped up around 10:30pm when we packed up and headed home. I had almost lost my voice after so much intense Amiga discussion during the evening! 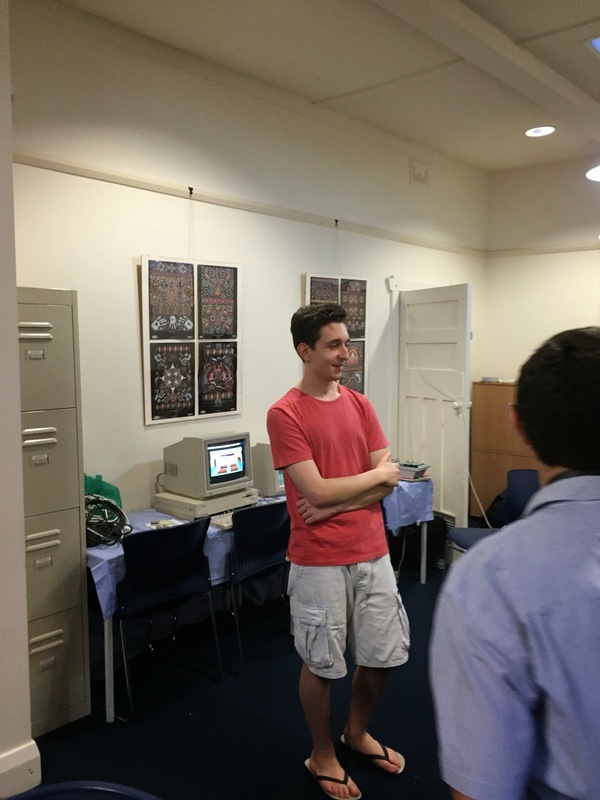 I want to thank George (Amigaman101) for his work to get this Adelaide Amiga meeting off the ground, Andrew for his interesting presentation of the Phoenix Motherboard, and of course all the other attendees who brought their Amiga's along for a fun evening! Very cool, the phoenix boards are so rare, but something I would love to own one day.